MAC will forever and always hold a special place in my heart because it’s the first makeup brand I ever tried. Back when I was 13 I remember my mom got me my first MAC eyeliner and I fell in love right away. Of course, as I’ve gotten older I’ve experimented with other brands, but MAC will always remain my “day one”. I have lots of MAC favorites, and as I experiment more with the brand and try more stuff from them, I’ve discovered lots of products I consider staples, and I recently discovered a new MAC love. MAC’s Extra Dimension Eyeshadow in Sweet Heat, which was recently made permanent, is a warm, peachy beige shade with a metallic finish. The Extra Dimension Eyeshadows are different because they’re supposed to be smooth like a cream, blend like a liquid, and have a powder finish. 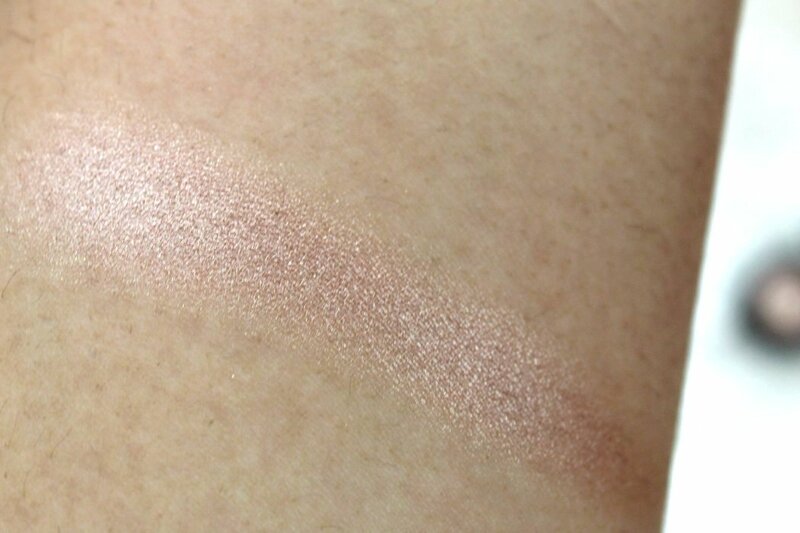 I definitely agree that this is very creamy, pigmented, and blends beautifully. I think it’s one of the best eyeshadows from MAC I own based on how easy it blends and it’s not powdery at all. I am so glad Sweet Heat was made permanent because I definitely missed out when this was released as a limited edition shade. 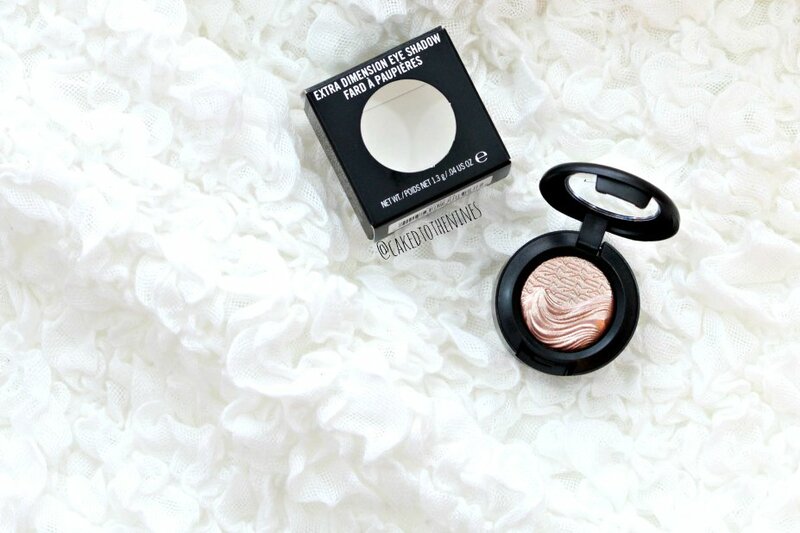 I’ve also heard this is similar to the highly loved MAC highlighter in Superb, which was limited edition. I’m bummed I missed that highlighter, but at least I have this beauty. Plus, you can use this as an eyeshadow or as a highlighter so it’s a 2-for-1! Worth the $20 for sure in my book! What are your recent MAC loves? Let me know in the comments below!